How to measure your wrist to determine what size Cuff Bracelet you wear for a proper fit. Our Cuff Bracelet sizes are shown with two measurements: the complete inside circumference including the 'gap' opening and the gap opening as a reference. Some Cuff Bracelets (typically single stone settings and those without stone settings) can be slightly adjusted. 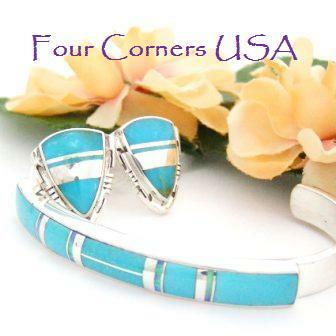 Cuff Bracelets with multiple stone settings or inlay cannot be adjusted as it could weaken the integrity of the bracelet and loosen the stones. Our bracelet sizes are determined by measuring the total inside circumference on a bracelet form, completely around and across the 'gap opening'. If the reading on the tape measure shows 7 inch, for example, that is the size we assign it. If you currently own a well fitting Cuff Bracelet, taking a measurement of it is usually the best reference. If you have not been completely satisfied with the fit your bracelet, we encourage you to read on. Below we offer some helpful tips on obtaining a proper fit, as we learned at Gem Shows many of our Customers did not really know how to properly 'put on a cuff bracelet' so it does not feel like a bangle. A Cuff Bracelet is designed to be worn just below the wrist bone. Using a flexible tape measure wrap it completely around your wrist in a comfortable, not tight, fashion where the bracelet is to be worn. The reading on the tape should indicate the bracelet size. 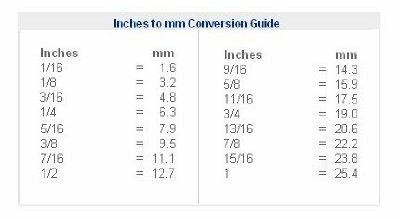 If you measure straight to the skin, adding 1/4 inch should give you a comfy fit. We say 'should' because all wrists are not created equal and some consideration should be taken for large or protruding wrist bones (as you will see in our Guideline for a Proper Fitting Cuff Bracelet, the bracelet must pass over the wrist bone). The importance of using a flexible tape measure is that it has some width simulating the bracelet against your skin. If a flexible tape measure is not available, simply cut a piece of paper at least 1/2 inch wide (or the actual width of the bracelet if you know it). Wrap it around your wrist, mark the strip of paper where the ends meet and then measure it against a ruler.